Welcome to Kathy Sigle Art. Native American male wearing bear claw necklace. 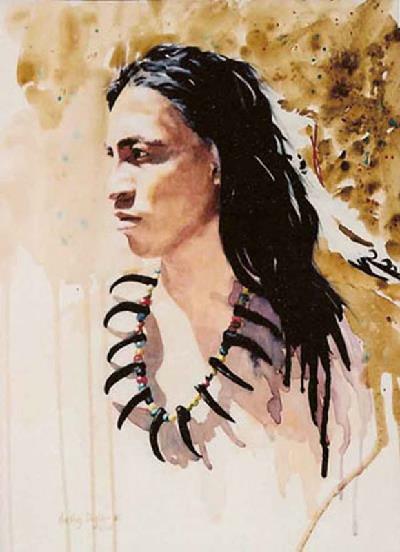 Sioux Indian wearing a bear claw necklace.